Make this whipped feta dip recipe with leftover cranberry sauce! 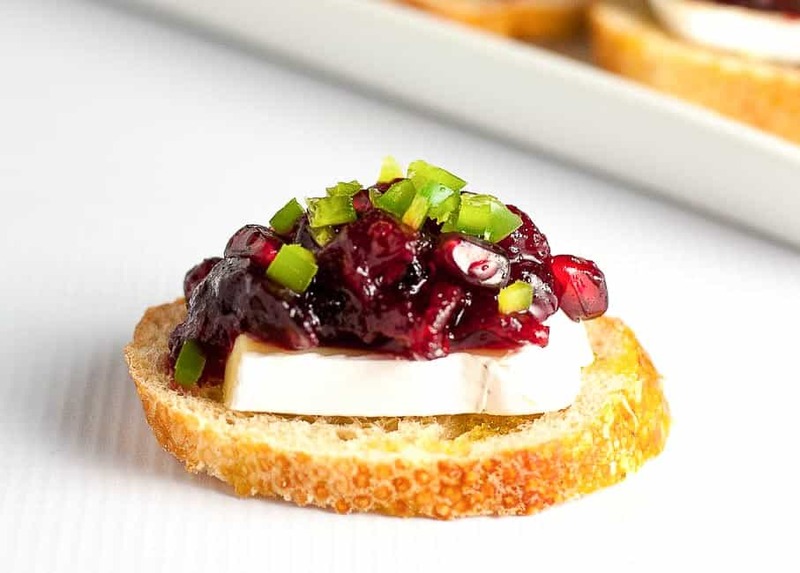 Top a mixture of feta cheese and light cream cheese with cranberries, jalapeño and pomegranate for a dynamic appetizer. I can’t think of a better way to use leftover cranberry sauce than in this Cranberry Jalapeño Whipped Feta Dip. What a great way to enjoy a sauce that we only make a few times each year! While packing up and storing leftovers from Thanksgiving dinner, I realized I had made too much cranberry sauce. 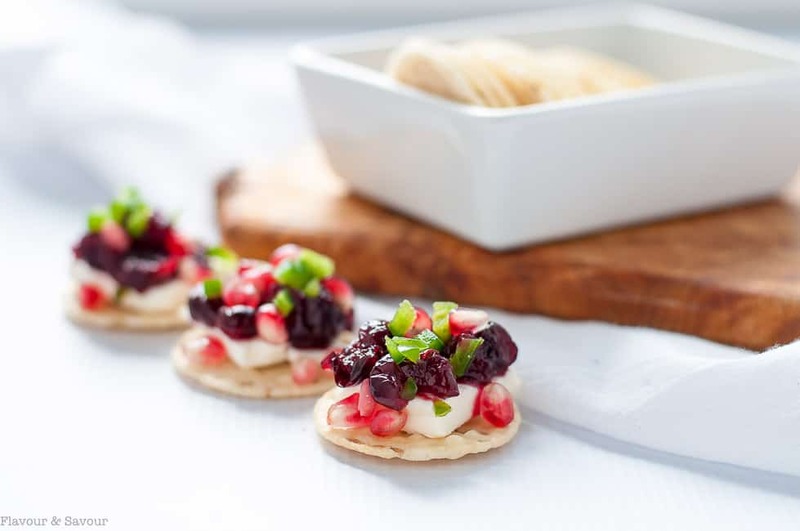 I immediately thought of using it to make these Cranberry Jalapeño Brie Crostini Appetizers, but with feta cheese in the fridge, I opted to make this whipped feta dip instead. And I’m so glad I did! Last summer, we had Strawberry Whipped Feta Crostini several times during our happy hour times on our deck. Whipping feta cheese with light cream cheese makes a light, almost fluffy dip, and it’s especially good when you add a hint of honey and lemon. So I combined these two recipes, and created this feta dip with cranberries, pomegranate and jalapeño. I know this one will be on the menu at every holiday party I host this winter! This Cranberry Jalapeño Whipped Feta Dip is quick and easy! 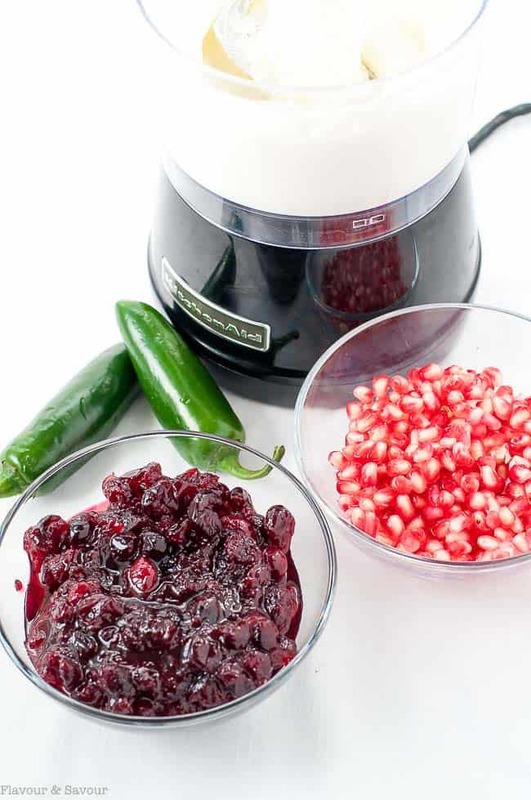 Sprinkle with pomegranate and jalapeños and dig in! 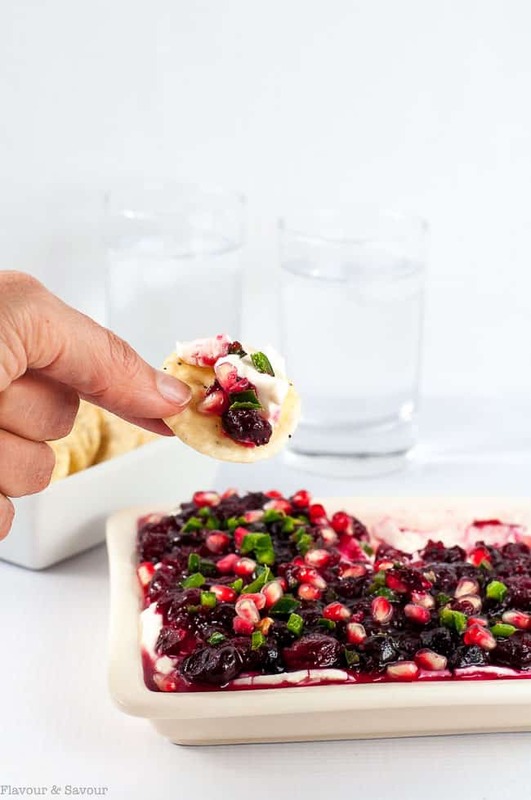 Topped with sweet but tart cranberry sauce, tiny jewels of pomegranate, and a generous dusting of spicy jalapeño pepper, this dip has an amazing balance of flavours and textures. Set out some sturdy crackers or toasted pita bread for dipping, sit back, and watch your guests dive in and devour! As an alternative, use it as a topping for crostini. Smear a little of the whipped feta on a toasted slice of baguette, top with cranberry sauce and garnish with pomegranate and jalapeño. Delish! Make this whipped feta dip recipe with leftover cranberry sauce! Top a base of feta cheese and light cream cheese with cranberries, jalapeño and pomegranate. Whip feta cheese, cream cheese, lemon juice and honey together in a food processor until very smooth and creamy. Spread in a serving dish. 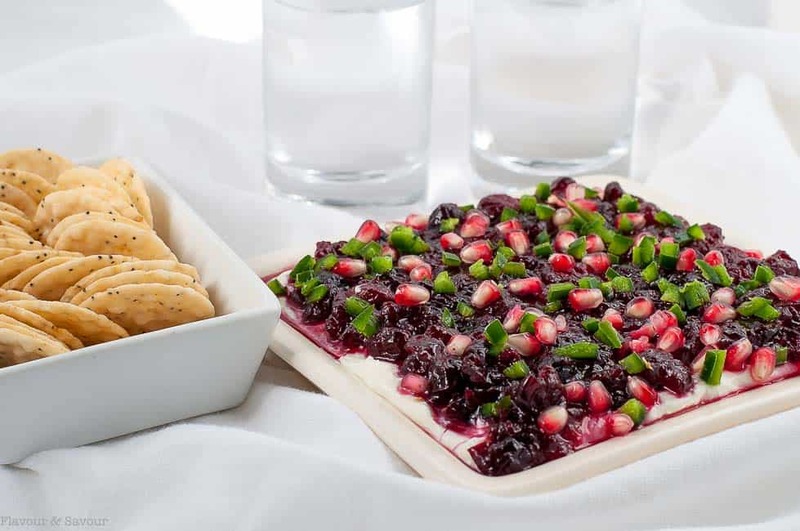 Top with a thin layer of cranberry sauce, sprinkle with pomegranate arils and minced jalapeño pepper and serve with crackers. You may need a little more cranberry sauce to cover the dip, depending on the surface area of the serving dish you use. Thanks Kari! So good! It got scooped up quickly. It’s SO good! Hope you like it as much as we do! What a great combo together. Something sweet, spicy, and salty is always great in my book. In mine, too Luci! Thanks for stopping by! Looks like such a yummy dip, especially with the pomegranate! Wow – this looks like a great way to use up cranberry sauce and add tons of other flavour and zip to it! I love all those things you mentioned. I definitely want to try this! 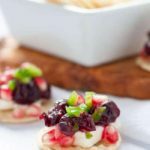 Interesting combination – I’ve never thought of combining jalapenos with cranberries but love the idea – sweet, spicy, tart with a little salt from the feta. Great idea – and the colors are perfect for the holidays. Thanks Julie! It’s both delicious and pretty!